Founder of InnerLifeSkills and Enlightened Apple Tree. Colleen-Joy teaches visionaries to empower and enlighten, first themselves and then others. Enjoy her books, blogs, art, talks and online courses. 2 Television documentaries were made about her life. 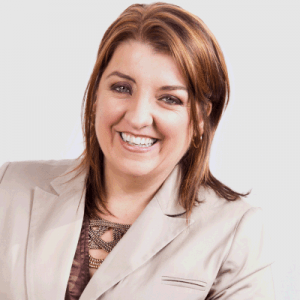 She has delivered 900+ presentations around the world. 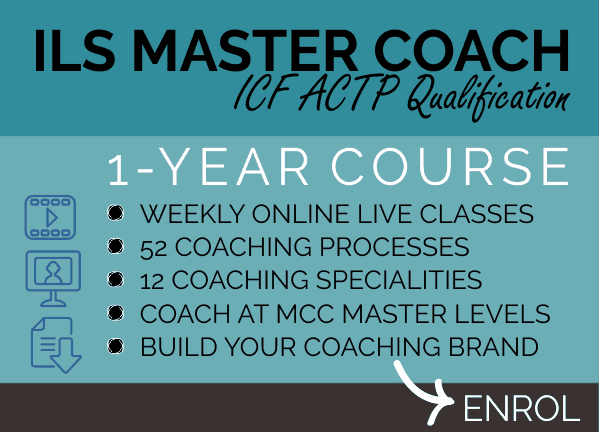 Join an "ILS Master Coach" Qualification online class. We'll check availability for our next online class. This popular ICF ACTP qualification course is held twice a year. You have Successfully sent your course enquiry. Check your EMAIL INBOX to confirm your email to receive our reply. We hate spam as much as anyone. Your email is protected and respected. 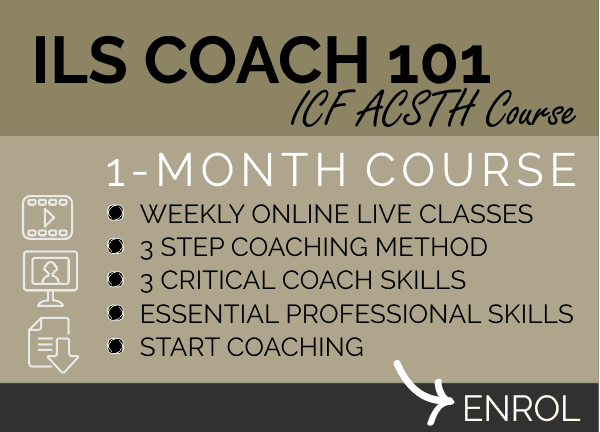 Join an "ILS Coach 101" foundation online class. We'll check availability for our next online class. This course is held three times a year. FREE "Be a Life Coach" online intro coaching course. Join thousands of wonderful students, learn actual life coaching processes from our ILS Master Coach course. Our gift to you to change more lives. Get a sneak peek here. You have Successfully Signed Up for our free intro video course. Check your EMAIL INBOX to confirm your email to receive your lessons. Free Life Coach online course. 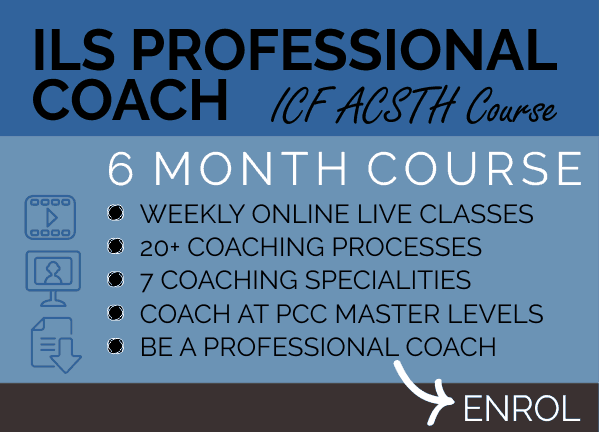 Join an"ILS Coach 101" foundation essential skills online class. FREE "Be a Life Coach" introduction video lessons course. 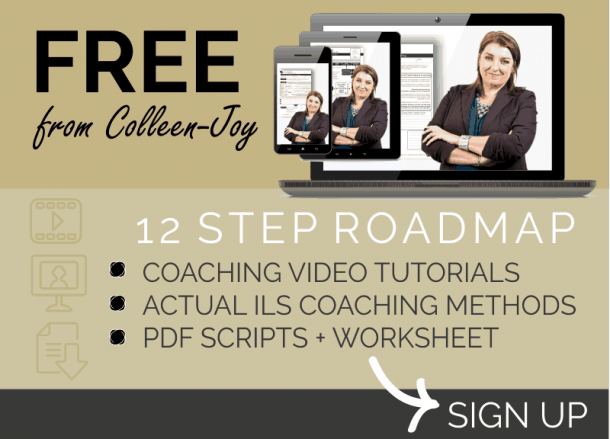 Join thousands, receive our video tutorials, learn actual Coaching Processes from our paid ILS Master Coach qualification. We'll check availability for our next online class. This course is held twice a year. 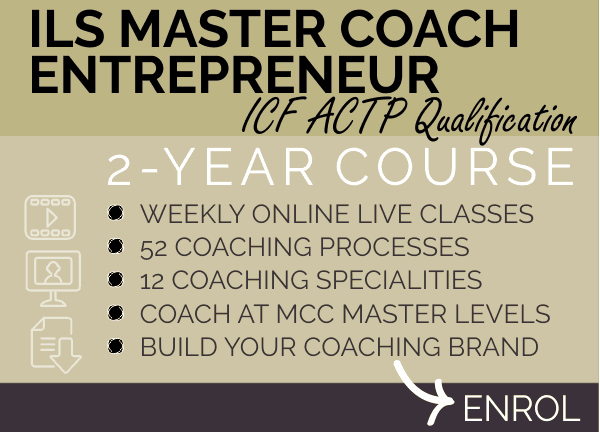 Join an "ILS Master Coach Entrepreneur" online class. We'll check availability for our next online class. This course is once a year. 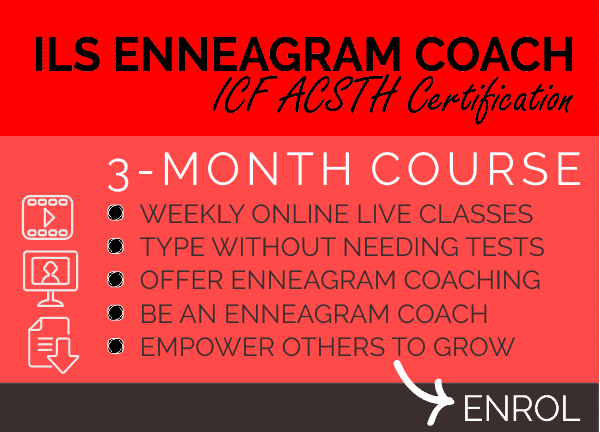 Join an "ILS Enneagram Coach" qualification online class. We'll check availability for our next online class. This popular course is held three times a year. Join an "ILSProfessionalCoach" online Qualification classes. 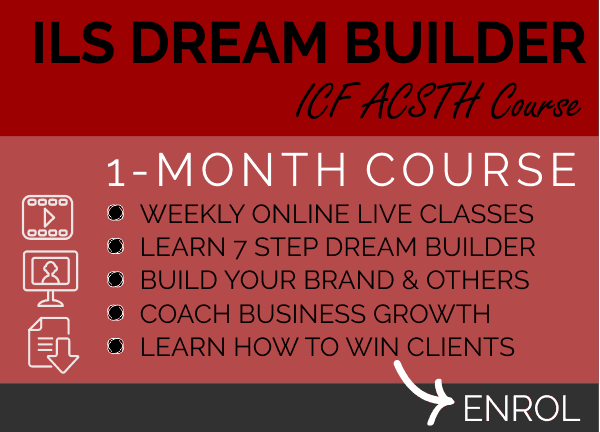 Join an "ILS Dream Builder" coaching online class. 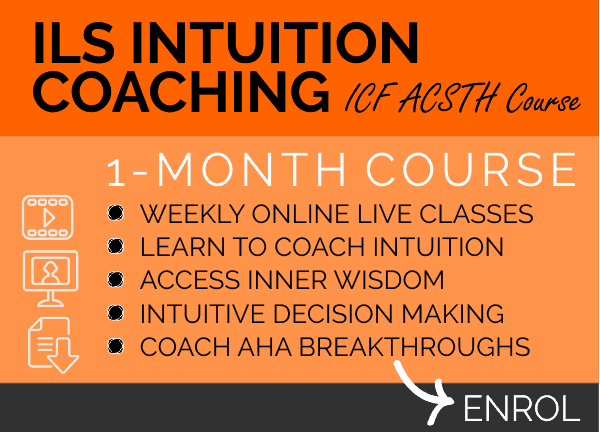 Join an "ILS Intuition Coaching" online class. 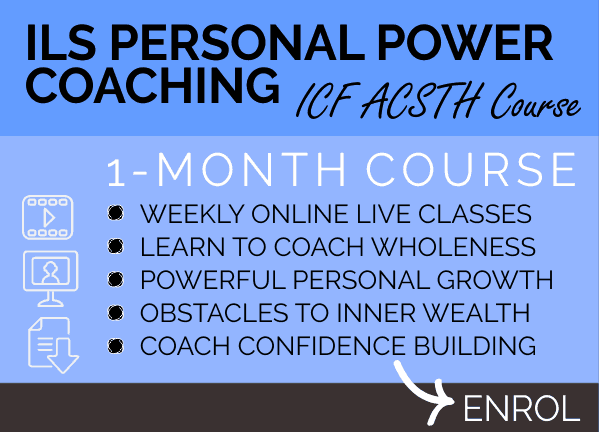 Join an "ILSPersonal Power Coaching" class. 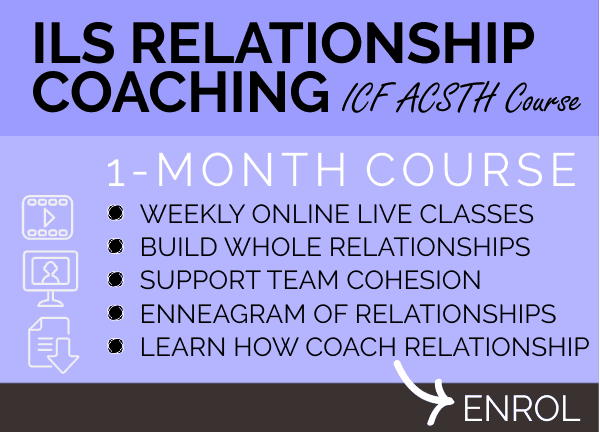 Join an "ILS Relationship Coaching" class. 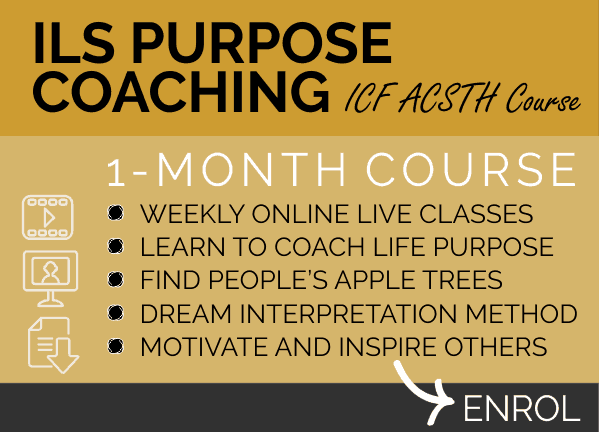 Join an "ILS Purpose Coaching" online class. 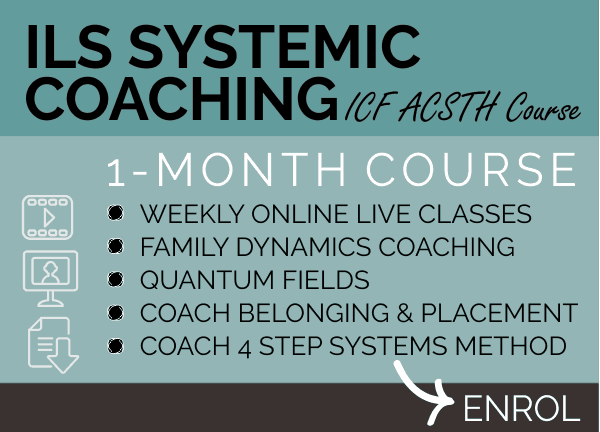 Join an "ILSSystemicCoaching" online class. 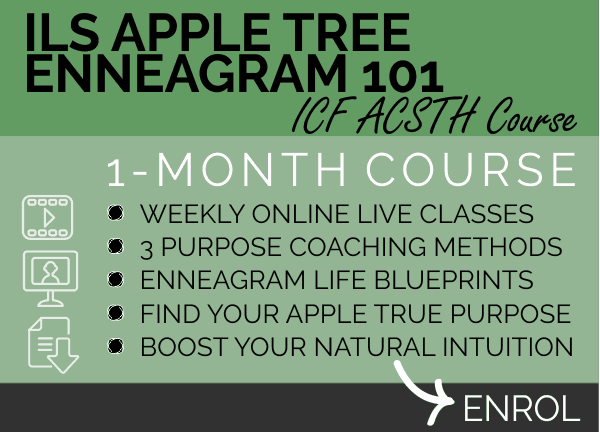 Join an "ILS Apple Tree Enneagram 101" online class. 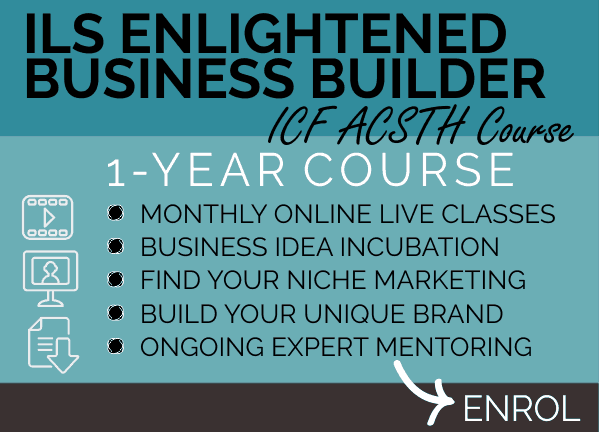 Join an "ILS Enlightened Business Builder" online class. We'll check availability for our next online class. This course is held once a year.